Only Table Tops is the #1 table top manufacturing choice for healthcare designers, healthcare furniture manufacturers, and architects working on healthcare design projects. Only Table Tops offers over 807 colors of table tops and surfaces for your healthcare design projects, making it easy to create family-friendly environments that accommodate all types of patients using high quality ergonomic, cleanable, sustainable, 100% recycled/recovered and LEED approved table tops. Five table top surface trends shaping healthcare furniture design. ✓ Cleanability – Cleanability isn’t just about the appearance of stains or dirt. It encompasses the much larger domain of infection control. ✓ Ergonomics – When it comes to improving ergonomics, it is important to remember that no two patients are alike. ✓ Aesthetics – There is an increased focus on aesthetics, increasing the homelike look and feel of hospitals has become a key requirement. 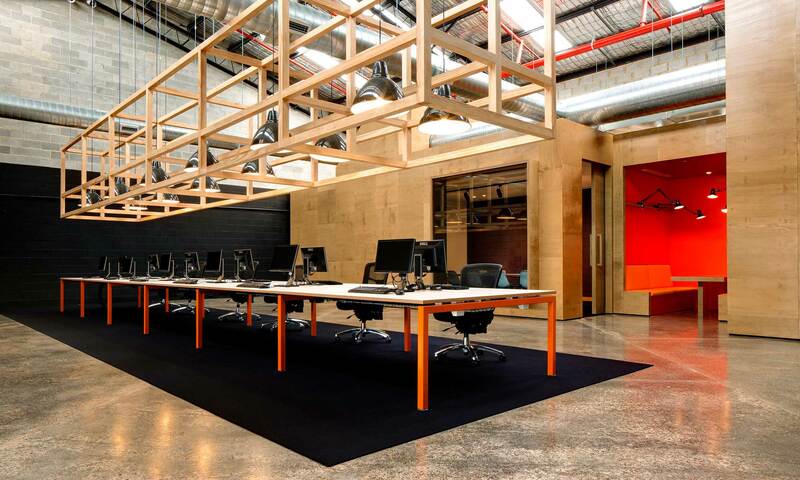 ✓ Sustainability – Designing and building environmentally friendly furniture is now standard in the healthcare industry. 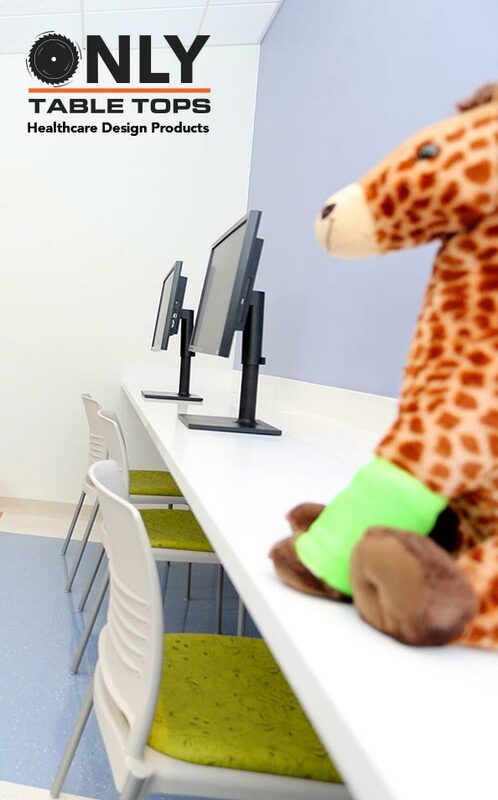 ✓ Family friendly – Creating family-friendly furniture for both the patient room and on the hospital floor. Given the impact of satisfaction ratings on payments to hospitals, the patient experience is front and center of healthcare furniture design. The latest healthcare furniture is designed to improve the hospital experience for patients and employees — creating family friendly environments while preventing the spread of infection through effective yet easy cleanability. Only Table Tops manufactures work surfaces and table tops with the highest quality Wilsonart, Formica, or PRISM laminates that meet or exceed current healthcare design requirements at every level. To prevent healthcare-associated infections (HAIs), our HPL and TFL laminate table tops can be cleaned with all 2014 EPA-registered antimicrobial products effective against Clostridium difficile spores and common germs. Every table top we manufacture includes a two sided laminate with both top and bottom surfaces completely sealed. Our edges are seamlessly sealed with pvc edge banding which allows total surface cleanability. Years of ergonomic experience and problem solving have given Only Table Tops its exceptional insight into unique solutions that most healthcare designers have only dreamed about. We pride ourselves on such services as custom table top shape design, ergonomic height adjustable frames by Multitable, and many other custom table top solutions which meet the needs of all users and enhance their hospital experience and work environment optimally. With an increased focus on aesthetics, healthcare designers are looking for more selection and options than currently available on the market. Only Table Tops has partnered with companies like Wilsonart and Formica to offer a wider range of unique designs and colors than ever before. We can manufacture your table tops in over 807 colors including realistic woodgrains, fingerprint proof technology, and many other new designs just released. Sustainability, once a ‘nice to have’ in healthcare design, has become something that architects and designers expect from manufacturers. 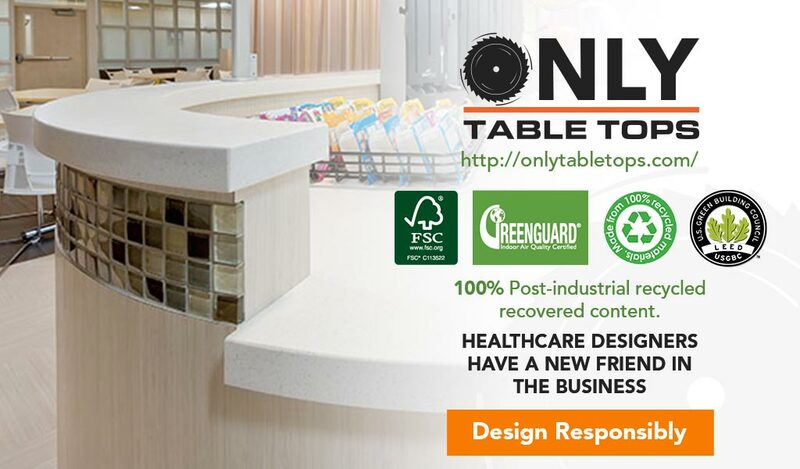 Only Table Tops answers the call for sustainable green building products with 100% post-industrial recycled/recovered, NAF-no added formaldehyde, GREENGUARD and FSC Certified table tops. We insure that every product we use in manufacturing lives up to strict guidelines which help patients and caregivers stay healthy. Family-friendly furniture, designed to make families comfortable when they stay at the hospital overnight, is another major trend in new furniture designs. Only Table Tops has unique abilities that healthcare designers can take advantage of in these areas. We can work directly from your AutoCAD designs and drawings to deliver new and improved healthcare furniture table tops in as few as 5 days. Consider us family. The future of healthcare furniture will continue to prioritize the comfort and safety of the caregiver, patient and visitors, and we’re here to make that mission a simple one. Only Table Tops has partnered with Wilsonart to bring you the latest healthcare furniture design trends in HPL and TFL collections. Browse our catalog of colors here. Healthcare designers, healthcare furniture dealers, and architects working on healthcare projects have a friend in the industry. Browse over 807 available colors, 18 standard shapes, and many other custom options available manufactured in The USA using FSC, GREENGUARD, and 100% post-industrial recycled/recovered certified content. Only Table Tops has the healthcare design trending surfaces you’ve been waiting for. Let us quote your next project and show you how we can help solve many of your past struggles with table top suppliers: Wilsonart Table Tops from Only Table Tops in Phoenix AZ USA. Made-to-order, fast turnaround, precision made in USA without the blemishes, 100% post-industrial recycled/recovered content.